Young tender pods eaten in salads or stir fried or added to soups or stews. Best harvested before 25mm to avoid toughness. 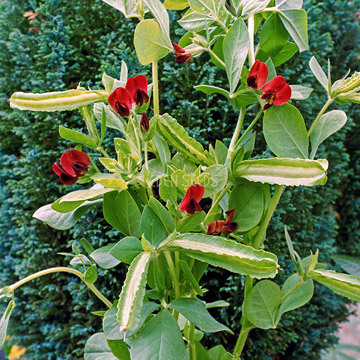 Seeds eaten like peas, deep red flower. From the Mediterranean, sow as for peas, will tolerate cold seasons. 55-70 days.